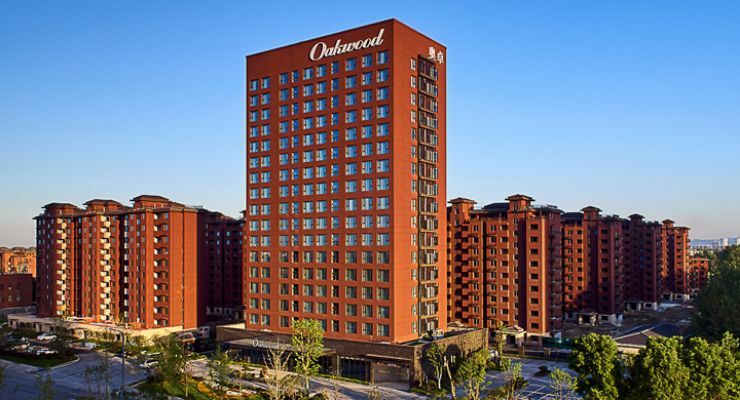 As the first international-branded serviced apartments in Yangzhou, Oakwood Apartments Yangzhou is within walking distance to Baoneng Commercial Complex and in close proximity to the Automobile Industrial Park, allowing residents to enjoy convenience, ease and comfort. 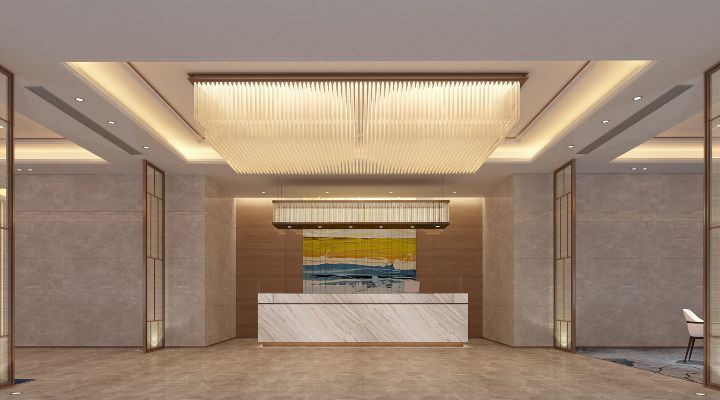 With 144 well-designed and modern units ranging from Studio Deluxe to Two- and Three-Bedroom Apartments, Oakwood Apartments Yangzhou offers unparalled accommodation for business or leisure. Each apartment is fully-equipped with a kitchenette, washer and dryer, Serta Perfect Sleeper mattress, pure cotton bedlinen, down duvet, firm and soft pillows and electronic in-room safe. 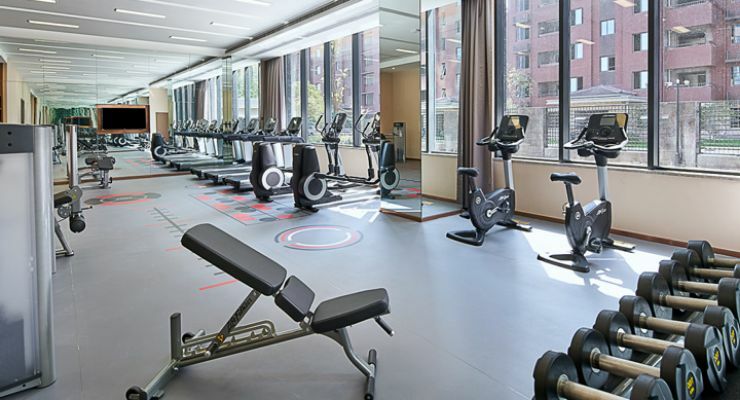 Facilities include the Fitness Center, TrEat Restaurant and Bar, meeting and multi-functional rooms, complimentary high speed Internet and car park. Designed with chic and modern essentials, each Studio Deluxe Apartment offers a full kitchenette with microwave oven, refrigerator, rice cooker, toaster as well as washer and dryer. The Serta Perfect mattress, pure cotton linen, in- room-safe, complimentary high-speed Internet and WiFi cater to leisure and business travelers for greater convenience of modern serviced living and a homely touch. Contemporary in design, the One-Bedroom Apartment is a spacious accommodation option providing guests with convenience and comfort. Each unit provides a full kitchen with microwave oven, refrigerator, rice cooker, toaster, washer and dryer as well as bar counter and dining table. The bathroom offers both the rain shower and a bathtub for an invigorating indulgence and relaxation. The Two-Bedroom Apartment offers modern essentials for a family stay that can accommodate up to 4 guests. The master bedroom encompasses a king-sized bed, while the second bedroom comes with either a queen-sized bed or twin beds. Well-furnished with a full kitchen, dining table for 6, washer and dryer, two bathrooms and bathtub in the master bedroom. WiFi and TV with multi channels are available in the living room and both bedrooms. 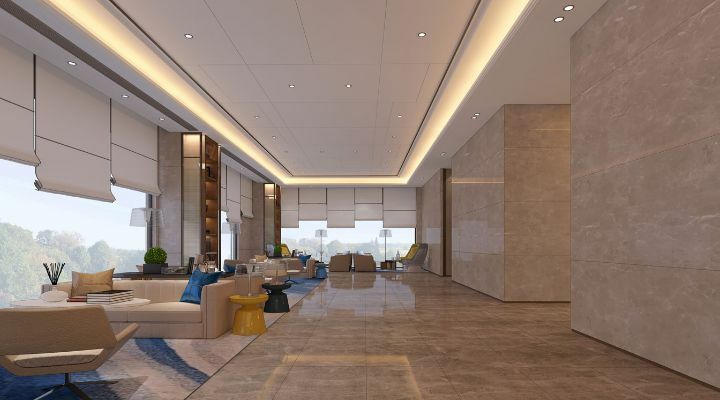 Designed in contemporary style for a family or group of friends, the Three-Bedroom Apartment features a full kitchen, dual-door refrigerator, spacious living and dining areas that can cater up to 10 persons. 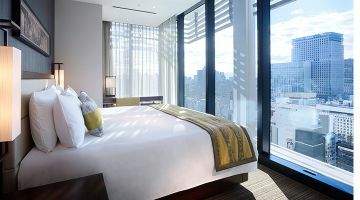 Each unit offers three separate bedrooms with king, queen and twin- beds, two bathrooms and bathtub in the master bedroom. WiFi and TV with multi channels are available in the living room and all bedrooms. A multi-purpose, business solutions center at your doorstep. 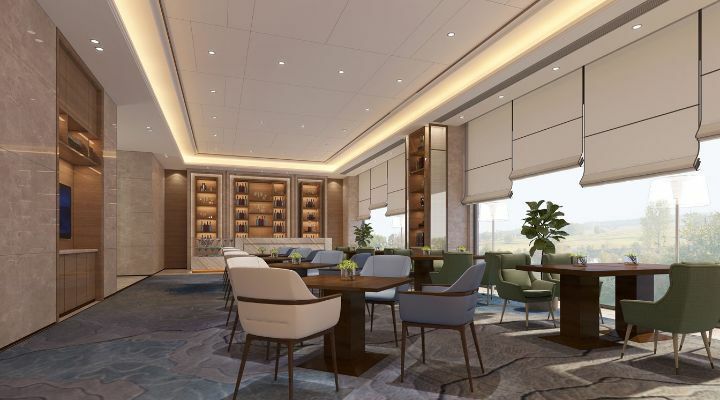 For private meetings, intimate events or social gatherings, Oakwood Apartments Yangzhou will be the ideal venue you can trust. 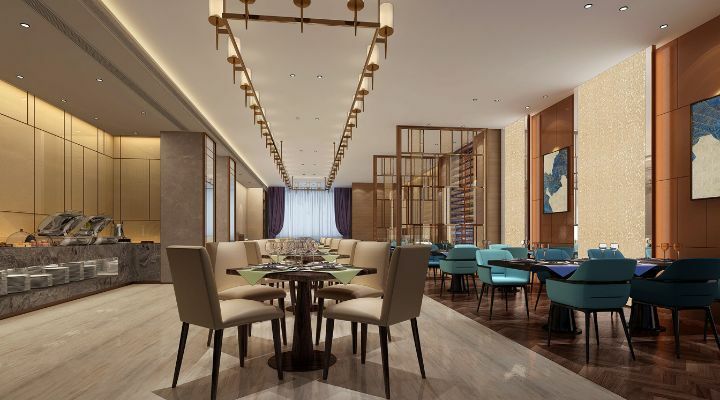 Meeting rooms include modern audio and visual equipment and a wide selection of cuisine specialties. Supported by a dedicated team of service professionals, your events are guaranteed to succeed and impress.